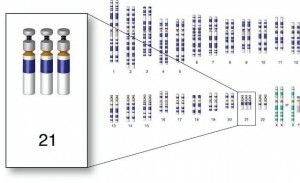 I am a genetic disorder, in which a third copy of Chromosome 21 is present in my cells. I am called Down Syndrome. I’m created because of an abnormal cell division, when the egg and sperm first meet. 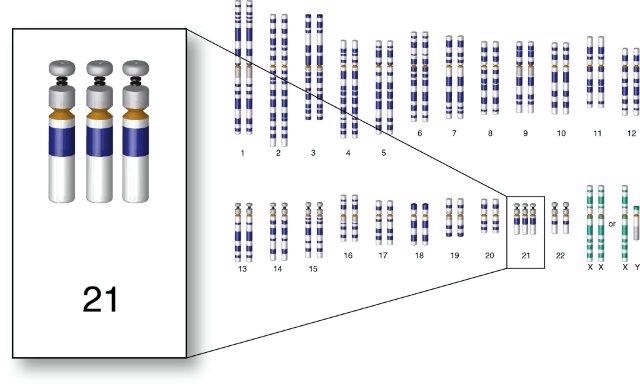 Parents of the child i have affected, are typically genetically normal, an extra Chromosome copy of me occurs by random chance. Life span for people who i affect can range from 50 to 60 years old, with proper heath care. The affect i can have on the body may be different then other people with me. Effects i can bring to the host are, Thyroid problems, hearing problems, congenital heart disease, eye problems, seizure disorder, bone, muscle, nerve, or joint problems, leukaemia or other cancers, immune system problems, development delay, and mental retardation. I, Down Syndrome can affect the hosts life in many ways. I make it longer for them to learn, understand, and slower for them to learn how to talk and take care of themselves. For some i make it hard for them to speak and hear, but in the time we live in now, people are getting past the fact that i have made a challenge on their body and are living happy normal lives. During this project, i didn’t need to search up a lot of information, most of it i found all on one site. What I searched to collect information were, “What causes Down Syndrome”?, “Down Syndromes effects” , “How does Down Syndrome have an affect on that persons life”?, and “Down Syndrome”. Another way i found some information was, that i watched some Youtube videos about Down syndrome, and left one i peronally found the most interesting and inspiring. I learned a lot about Down Syndrome from this project, in which i found very interesting. What i found the most interesting was that having a child that has Down Syndrome can come by chance. I found the process of this challenge was quite simple, all you needed was good question to search, and it should have been easy to find your information. 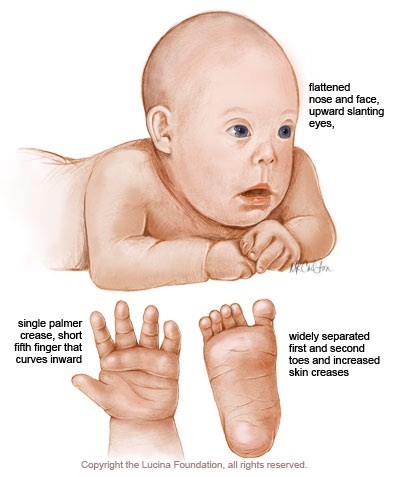 This is a picture of the features of a child with Down Syndrome. Thanks for sharing what you learned about Down Syndrome. I appreciate the media that you included as it gives a good picture of the reality of the syndrome.